The experience was not only completely different and new but incredibly inspiring and eye opening as I meandered my way in between these busy coding bees (from the age of 4!). I felt inspired (and old!) to see such young kids creating programs and discussing how to accomplish the next steps in what sounded to me a completely different language and universe all together... So if you have young kids in Dubai and wondering what to do with them this summer - definitely worth a look. Coding not only is becoming an essential part of your child's key skills in this dynamic fast developing world but also it teach s them core logic structure. Kids are growing up in a very different world than that of their parents.t is one thing to know how to use these technologies. It’s another, however, to understand the logic behind them. When learning to program, kids understand and tinker with the digital world they inhabit. Coding draws back the seeming “magic” of technology so they can truly understand the logic and science that controls this technology–a discovery that is all the more magical. For the last several centuries, people relied on the written word to spread ideas. The ability to write was the ability to create change. Today, writing is not enough. To change behavior, it is crucial to leverage the digital medium. Learning how to program is like learning any other language in that the skill must be practiced and tested out. Just as languages open up the ability to communicate with worlds of people, programming gives children the ability to create technologies that impact those around them. 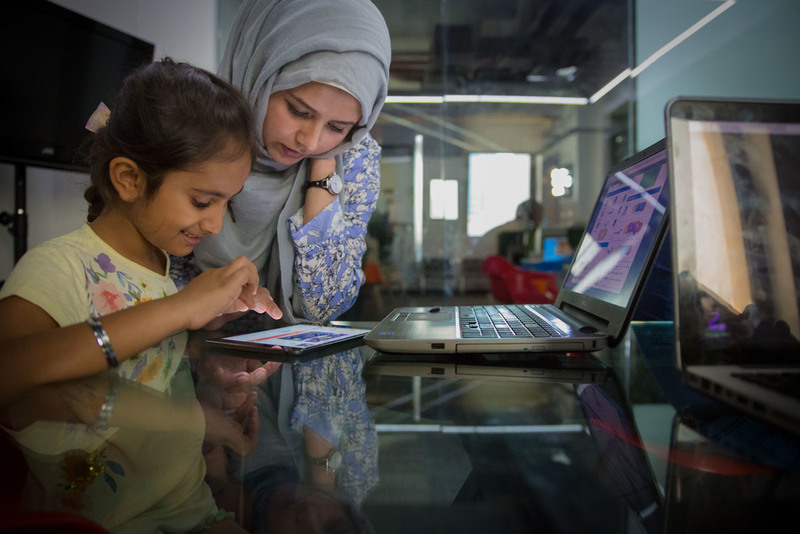 With just a computer, kids can use their programming skills to build things that could change the world. If your kids aren't already - I highly recommend they join thsi dynamic, fun and most importantly useful course at "The coding Cirlce" - you won't regret it and they will love it! ← Dubai's best kept Ramadan secret.